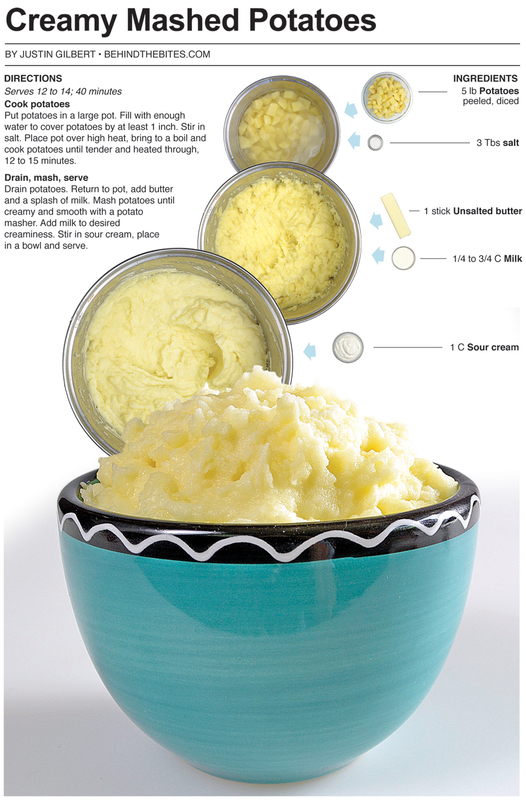 Mashed potatoes are a dish that is universally loved by all. Probably because they can be eaten by almost everyone. No teeth are required and therefore no chewing. Anyone from babies to the elderly have the ability to wolf them down. They are relatively easy to make and come in instant form, which I do not recommend, but if the choice between instant potatoes and starving were to arise, I’ll take the instant spuds. They also compliment nearly every type of main course, but that is true about potatoes in general, regardless of preparation. Personally, I love to mix vegetables with mashed potatoes, particularly – sweet corn. As a child I would skip the gravy all together when Mom paired them with corn and just spoon a heap right onto a mound of mashed potatoes then swirl them together. To this day, that is my favorite way to eat them. I like my mashed potatoes wispy as apposed to chunky and butter is a must. I don’t mind them made with skins or with cheddar cheese sprinkled in — those are just preferences though. I’ll eat mashed potatoes anytime, hot or cold. I made mashed potatoes for a Thanksgiving meal I documented almost 2 years ago and I figured it was time to do them again. I wanted these to be buttery and extra creamy — so buttery that they didn’t need any gravy. A full stick of butter and a cup of sour cream helped me accomplish the "no need for gravy" effect with these potatoes. They were rich and decadent. 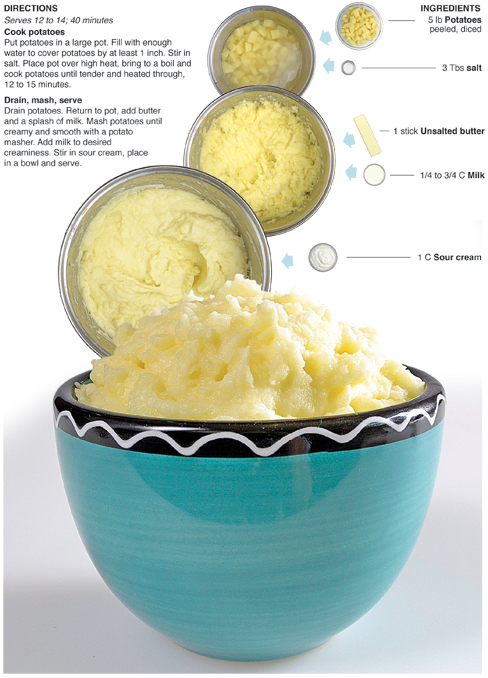 This recipe is really how I prefer my mashed potatoes, like I said in the intro, wispy and creamy and these are just that. They could be made chunky with less mashing and milk and they would still turn out delicious. These potatoes were salted in the beginning and no other seasoning was needed. I could have thrown in black pepper but for the purposes of presentation I left the pepper out, which is rare for me but it didn’t matter – these were still delicious. Put potatoes in a large pot. Fill with enough water to cover potatoes by at least 1 inch. Stir in salt. 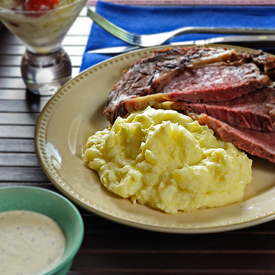 Place pot over high heat, bring to a boil and cook potatoes until tender and heated through, 12 to 15 minutes. Drain potatoes. Return to pot, add butter and a splash of milk. 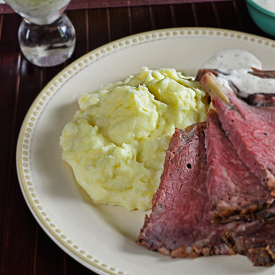 Mash potatoes until creamy and smooth with a potato masher. Add milk to desired creaminess. Stir in sour cream, place in a bowl and serve.